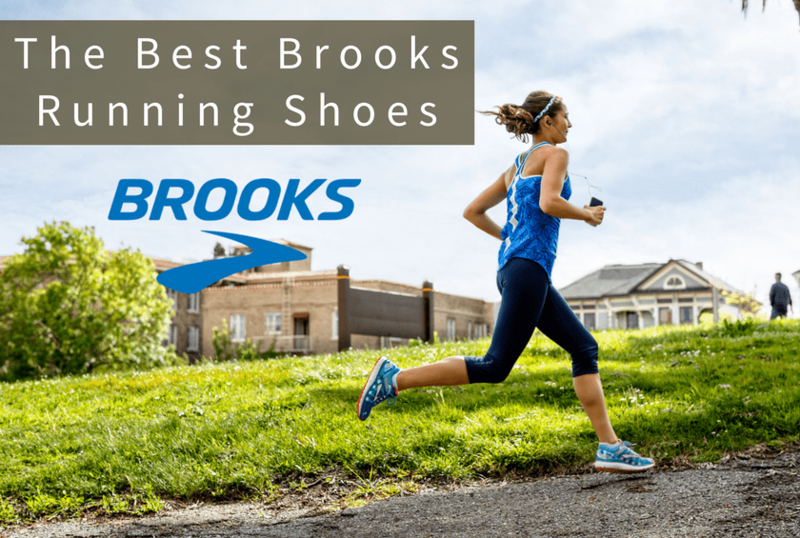 Brooks has grown to become the best selling running shoe company on the market today. 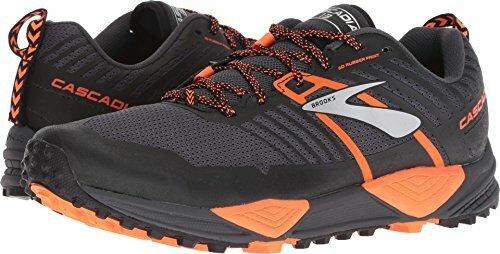 Brooks only makes running and walking shoes. Many people haven’t heard of the brand because they aren’t as all-incorporating as a Nike, New Balance, or Adidas. 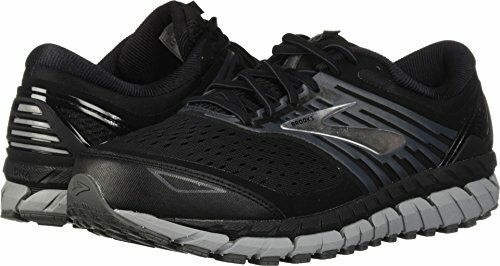 But because Brooks solely focuses on running and walking shoes, they’ve become the go-to brand for many runners. Sifting through the various models and recent updates to classic shoes is a lot of work, so we have done it for you. Keep reading to learn about the best Brooks shoe in each category. The GTS in the Brooks Adrenaline stands for Go-To Shoe. And with good reason, this shoe is long relied upon by runners who want a supportive, cushioned ride with a great fit. Lightweight while still providing a comfortable ride, these shoes are great for everyday training or races. New to version 19 is a brand-new way of providing support and stability. The stiff foam called the medial post – found in the midsole towards the back of the shoe – is gone. This standard type of support has been replaced with Brooks’ innovative guide rails. Guide rails not only allow for even wear on the shoe and a more comfortable fit. But they also provide only enough support as a runner needs. So if you need more support, the guide rails will position your feet and legs back into place. If you only need a little bit of support, the shoes will only slightly guide your feet back. They also lighten up the shoe, eliminating a long standing complaint that support shoes are too heavy. The Adrenaline GTS is a well-cushioned shoe with plenty of room in the toe box for extra comfort. Despite the plush ride, it’s still well balanced between cushioning and road-feel. The HPR Plus rubber outsole remains intact after many runs. Brooks’ also includes BioMoGo DNA foam combined with new DNA Loft foam in the midsole. Together, these allow for soft underfoot that’s more durable than previous models. If you’ve worn a pair of GTS in the past and found them too heavy, the Adrenaline GTS 19 have been lightened up with improved flexibility. The newest version has a seamless upper. This feels great but extended use by a runner with sharp toenails might find a hole in the top sooner rather than later. The Brooks Ghost 11 is a neutral road running shoe with a soft, meshy upper and cushioned sole. Designed to maximize performance without sacrificing comfort, it’s the top everyday training shoe available in Brooks’ range. The Ghost 11 is the latest incarnation of a well-loved model. The ride provided in this version is smoother than previous shoes with more cushion and a smoother toe-off transition. The weight of the Ghost compared to previous versions has been slightly reduced. The biggest update is the upper. Featuring soft, double-layered mesh, this seamless upper provides a soft but secure fit. The Ghost 11 feels better than other shoes that cost 25% more. Also new is the addition of an adjustable saddle for a more structured mid-food section. The allows runners to better customize the fit when lacing up. The Glycerin 17 is another Brooks neutral road shoe designed for daily training runs. 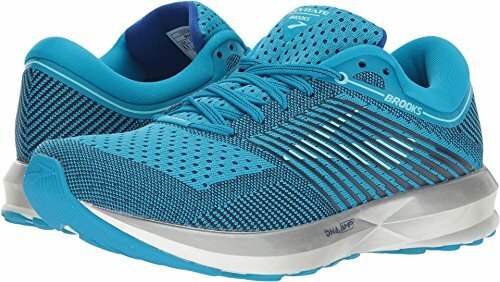 This shoe is best for mid to longer distances – it might feel too heavy for tempo or speed work. Updates to version 17 include a new sockliner for a soft feel. The Glycerin 17 also has DNA Loft foam introduced in the last version of the shoe. This adds nice cushioning to the midsole without sacrificing a responsive ride or durability. Also continuing from version 16 is a redesigned seamless upper. While it still holds your feet securely, the mesh upper looks sleek and feels great. The outsole provides flexibility and helps to provide a more natural running feel. The outsole also features zones under the heal designed to make the transfer from heel to toe smoother. Greater elasticity around the saddle allows the foot to move and stretch without working against the weight of the shoe. One of the reasons the Glycerin is a good shoe for runners with foot or leg pain is because it offers a springy ride and reduces the impact of the road on your body. It’s a plush, smooth ride, although a tad heavier than other running shoes. The Dyad 10 is the latest iteration of a well-loved neutral road shoe. This popular shoe is ideal for heavier runners or runners who wear orthotics. Designed with comfort in mind, the Dyad 10 is best known for its use of cushioning throughout the shoe. While the DNA Midsole Cushioning is popular throughout the Brooks range, the Dyad series adds much more support. Also included are dual stability arch pods and a heel segmented crash pod. The Dyad 10 wasn’t built for speed or distance. It’s the comfortable ride that counts most. New in version 10 is a seamless upper that provides a soft, irritation-free ride. Also new is a more rounded toebox. One complaint of prior models was a toebox that narrowed quickly, squishing the toes. Brooks heard your complaints and update this version for a roomier fit. All the cushion is what makes it one of the best shoes for heavier runners. Those who find shoes soft beneath their feet will appreciate both the quality and quantity of cushion in the shoe. Plus, the shoe is big enough to easily fit custom orthotics. The Ravenna series is the shoe for those who don’t want the full support of a stability shoe but need just a touch of support to correct mild overpronation. Brooks Ravenna 9 is the latest version and includes a greater focus on performance than past models. The shoe includes a DNA midsole and is similar to the Launch. It’s snappy and provides a responsiveness not usually found in a stability shoe. It goes a step further by adding a diagonal rollbar to the midsole. The rollbar provides some stability without weighing the shoe down. Also new to version 9 is a seamless upper that feels great as soon as they put it on. There some complaints with version 8 that the fit wasn’t right – Brooks has corrected that with its latest version. The Brooks Levitate is a neutral road shoe for daily running. It provides a bouncy ride designed to return energy to propel you forward. As with most Brooks shoes, the key to understanding this shoe’s performance is all about what’s packed inside. Once again, the midsole wins the day. Brooks included a slightly different midsole in this shoe: a DNA AMP midsole. The DNA AMP midsole keeps your gait fluid throughout your run. One of the things we love most about this shoe is that the springy ride does more than add extra help. It helps you carry the same good form you achieved during the first few miles and carry it into your last few miles. DNA AMP foam will almost maintain its cushioning longer than traditional EVA foam. And unlike standard running shoes, the Levitate won’t get mushy on hot days or rock hard on cold ones. Instead, it delivers the same ride regardless of temperature. There’s no doubt that the Levitate is heavy, but unlike other shoes, its weight doesn’t drag you down. The Cascadia 13 is a trail shoe for all types of trails and conditions. There are three things runners love about the Cascadia 13. First, it handles numerous kinds of surfaces incredibly well. While some shoes use an aggressive amount of traction, the outsole tread on the Cascadia works provides ample traction without feeling like you’re digging into the ground. Second, the addition of the Pivot Point System to the shoe adds balance and stability. The shoe’s ability to keep you upright on uneven surfaces without compromising form or speed is important. Finally, the Cascadia 13 is more comfortable than the 11 or 12. You’re getting a more technical shoe without sacrificing on comfort, which is important for any distance runner. The Launch 5 is similar to the Ghost 11, but it’s lighter and faster. It’s also offered at $100, making it one of the best economical running shoes on the market. The Launch includes the BioMoGo midsole in conjunction with the DNA cushions for a ride that adapts to your running. You’ll also find the midfoot transition zone provides a smooth but fast heel to toe transition. It’s helped along by the Caterpillar Crash Pad to provide the stability required during your fastest runs. The Launch is a lightweight shoe that provides enough cushioning to make it fine as an everyday trainer. But it really excels as a speed or longer distance race shoe. Brooks changed the upper in the 5 to include an unstructured mesh with fewer overlays, which means you get a more flexible shoe. The upper also makes it less secure than a performance shoe, lending more towards comfort. Brooks’ motion control shoes include two different models: the Ariel 18 (women’s) and Beast 18 (men’s). 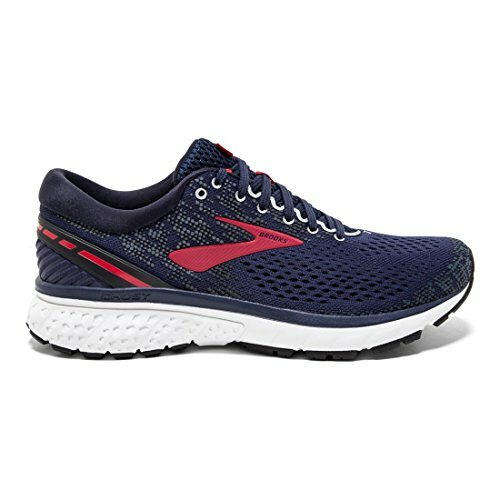 When you’re buying this shoe, you’re buying a very durable, well-cushioned shoe with more that provides the most support and stability out of all of Brooks shoes. In addition, these shoes provide heel security, a padded ankle collar, and rubber pods throughout the outsole. Combined, this is a heavy, but extremely plush shoe. New in version 18 are a more streamlined look with a seamless upper and overlays that remove parts of the upper that used to be stitched together. It’s also a more breathable upper – nice to keep your feet cool on hot days. But otherwise, the shoes haven’t changed. 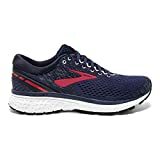 These are classic motion control shoes – one of the top sellers in this category – and Brooks hasn’t done anything to mess with this formula. The Brooks Beast/Ariel 18 is more than just a running shoe. It can even be an everyday shoe that makes walking more bearable. Or even a shoe that works well if you have back, foot, or knee issues. 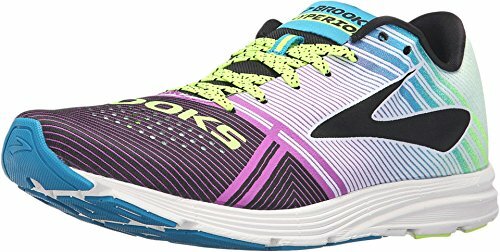 The Brooks Hyperion is a fast racing shoe that walks the line between the a lightweight running shoe and an ultra-lightweight racing flat. Good for speed workouts and short races, the Hyperion is lighter than its competitors at Saucony and Sketchers. Brooks added the minimum amount of midsole to make the shoe comfortable without impacting speed. The 2 mm of rubber gives you speed and flexibility without forcing you to pound the payment. The Hyperion sole is designed for racing. It’s made from the Books DNA technology that grows stronger as you hit the pavement harder without hurting flexibility. While the insole is designed to complement the DNA sole, it’s easy enough to peel it out and put your own inserts in. 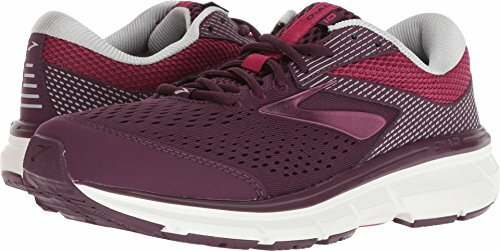 Brooks is a reliable brand of shoes for anyone looking for a supportive shoe. But as the company has grown, it has also innovated to find a balance between great support and lightweight flexibility. There’s a pair of Brooks out there for almost everyone.